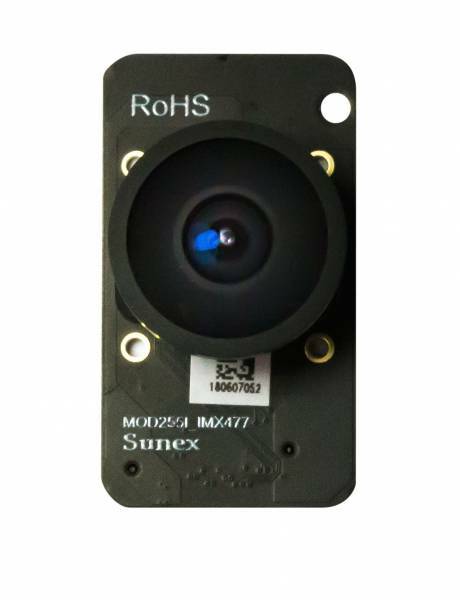 The MOD255I sensor module is a Sony IMX477 based module that includes an integrated fisheye lens providing an FOV of 190°. The 12.3 MP sensor is a Exmor RS based stacked sensor that is backside illuminated. It provides low power and low noise operation which is ideal for security and surveillance applications in challenging lighting conditions. Combing this with the all-glass integrated lens provide a wide field of view with a F/2.0 aperture makes it ideal for low light applications. This lens also comes with an optional 650nm IR cutoff filter and is actively aligned to the sensor to ensure the high quality, uniform images. This sensor module is suited for digital video camera, high resolution conference camera and high resolution sports camera designs. Ссылки на другие веб-сайты "MOD255I"